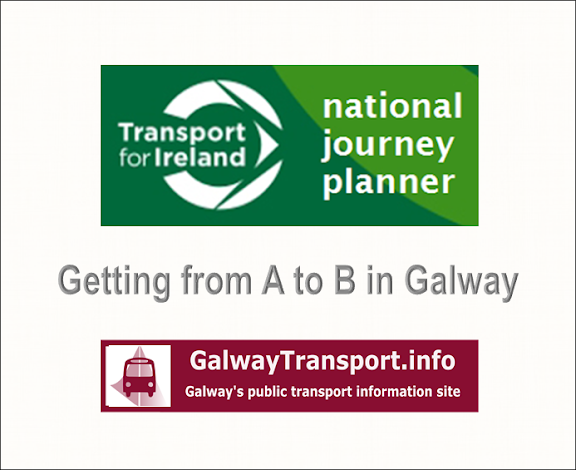 Arrival and departure points for regional and national bus services to and from Galway city. Used by many of the services for 3rd level students, and some regional commuter services. The stop may not currently have a bus stop sign, but is painted on the road. To get to it, cross the Salmon Weir bridge, and turn left. Check the waiting buses, as they may leave from either side of the road. Regional buses do not leave from the stop (which has a sign) that you would reach by turning right. C The "private" bus stop at the north side of Eyre Square: it is used by some regional commuter services, and also the City Direct city services. 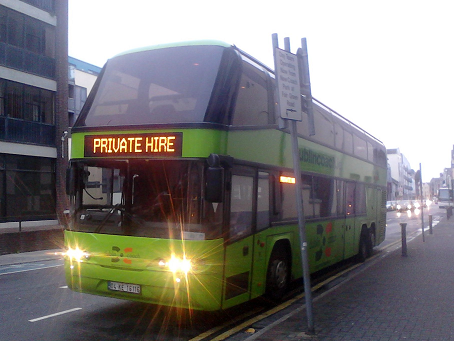 Labelled Stad Bus - this is just the Irish translation of bus-stop. S Galway Coach Station (Aras Cóistí): Officially called Sean Duggan Coach Station. 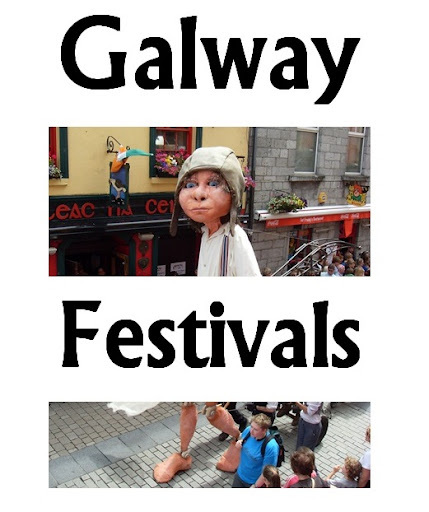 Used by most private buses operating to/from Galway. Is is also the departure point for most day-tours. 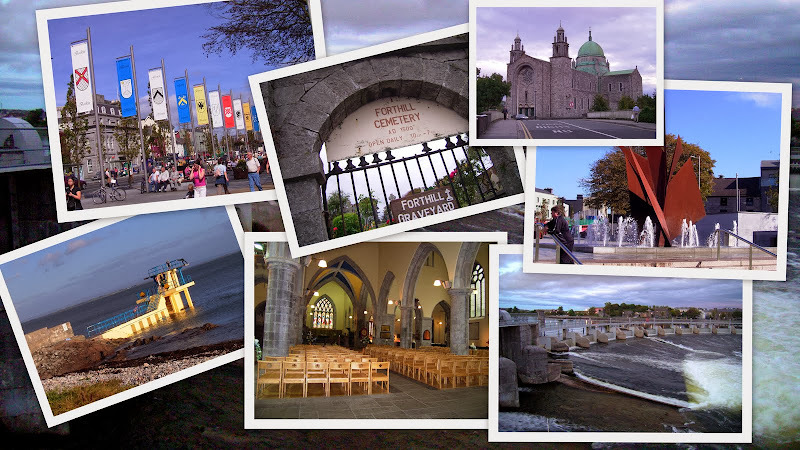 B Burkes Bus Stop: At the south-east corner of Eyre Square, just beside the number 9 Galway city bus stop. 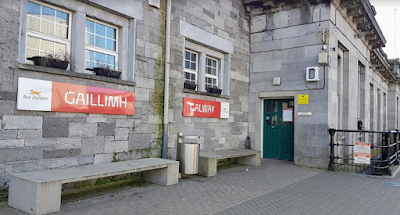 R Ceannt Station / Galway Railway station: This is the arrival and departure point for all Bus Éireann's national and regional services, and the route 410 city service to Oranmore (previously called the Oranmore Shuttle). A Taxi-stand- Bothar Pairc an Aonaigh. (This area was previously used for private coach services before the Coach Station opened). 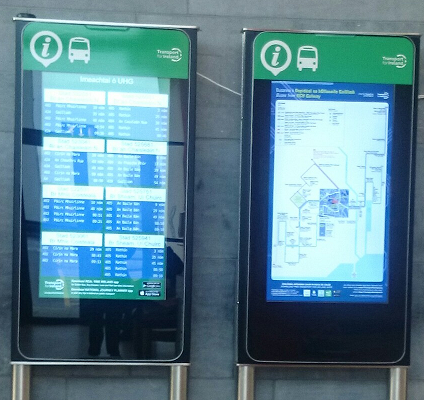 Bus Éireann local and commuter services, travelling west pick up and drop off at all marked bus-stops in the city. The same applies to CityLink's Clifden service. 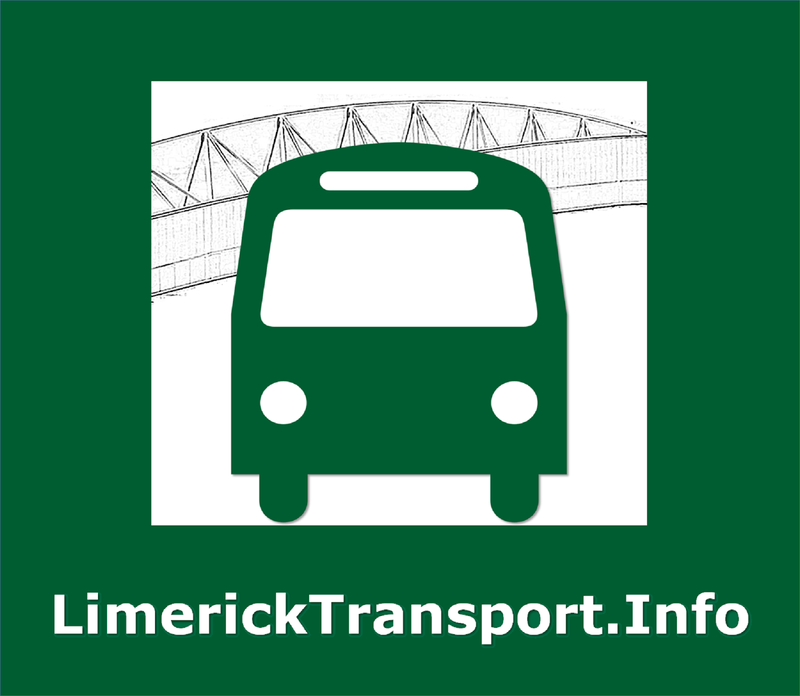 Bus Éireann regional services travelling south or east pick up from the GMIT stop and drop off at Dawn Dairies, but do not use other marked bus-stops in the city. FeedBurner will send you a verification email. Click the link in it to start your subscription.